I wrote a serious post last week asking why Brian Ross wasn’t fired after linking the shooter to the Tea Party on the basis of nothing more than a shared (and somewhat common) name. Today, let’s look at some good political satire. 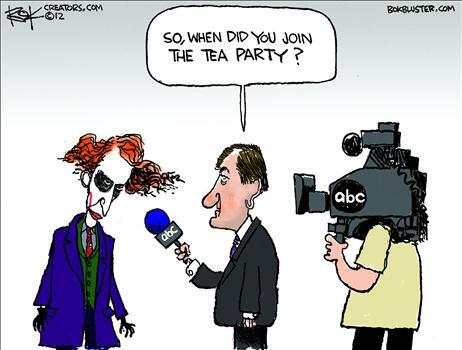 Let’s start with a cartoon mocking Mr. Ross, the nitwit from ABC News. You can see more good Bok cartoons here, here, here, here, here, and here. 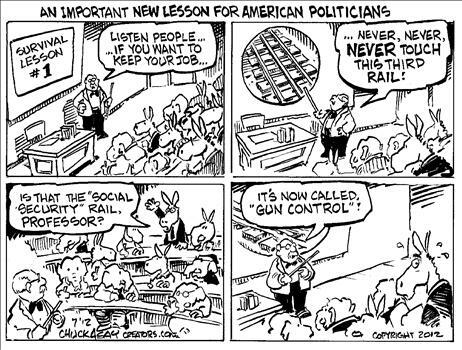 And speaking of nitwits, here’s a good cartoon looking at several rich buffoons, all of who raced to exploit the tragedy by uttering vacuous platitudes about gun control and violence. More amusing Eric Allie cartoons can be seen here, here, and here. On the topic of gun control, one silver lining to the dark cloud of this madman’s actions is that it is increasingly clear that the left has basically given up on trying to violate the Constitution (though keep in mind that the Supreme Court has been upholding the Second Amendment by the narrowest of margins, so Obama – or Romney – can undo that victory in the next couple of years). Chuck Asay, as regular readers know, is one of my favorites. You can see more of his work here, here, here, here, here, here, here, here, here, here, here, here, here, and here. Last but not least, I sometimes wish I was a statist. 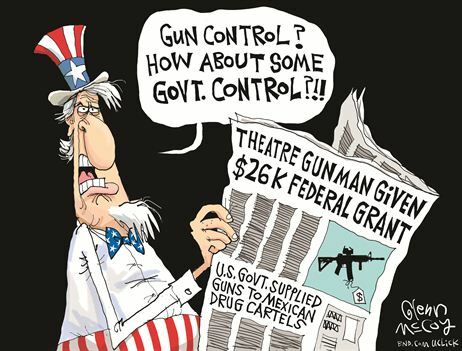 Wouldn’t it be fun, after all, to make a ridiculous and absurd accusation that the killings were somehow caused by getting a handout from the federal government? Which is why this cartoon is amusing. It doesn’t directly make any silly charges, but it does point out the federal government’s tangential interaction in a way that will probably irk leftists (just as they irk me when they directly say something stupid and blame the Tea Party for murders). 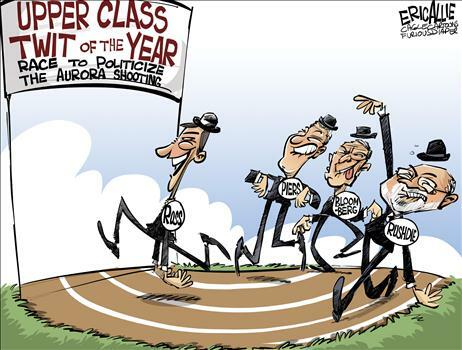 You can enjoy a couple of additional Glenn McCoy cartoons here and here.